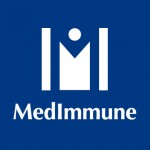 A presentation by MedImmune at last years Drug Delivery Partnerships. Below you can find a brief overview of the presentation, but download the complete presentation here. To view this entire presentation, click here. Did you like this presentation? Be sure to join us at this years Drug Delivery Partnerships taking place in Boca Raton, FL from January 28-30. Your roadmap to success starts at DDP — the only event that delivers the perfect mix of technology, insights and innovation. Register before Friday December 19th and save $300 - Just use the code XP2078BLOG | Register here.